Eye-rolling at a different Game of Thrones collaboration each day? Us too. 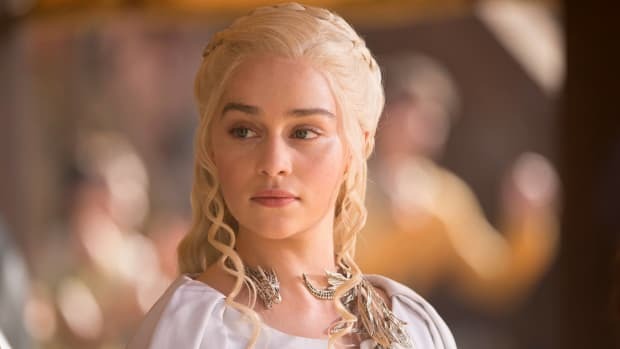 As we approach the eighth and final season of the HBO fantasy drama, more and more cobranded products are landing with a thud. 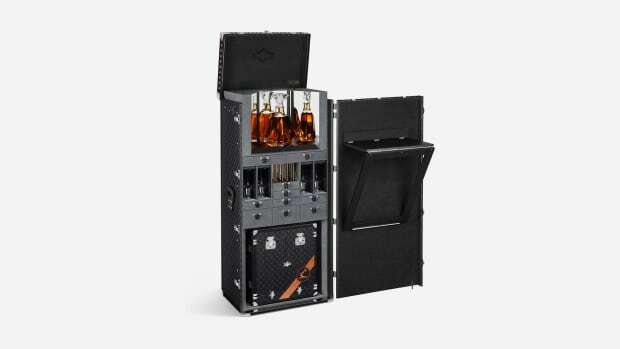 Thankfully, Diageo is doing it right. 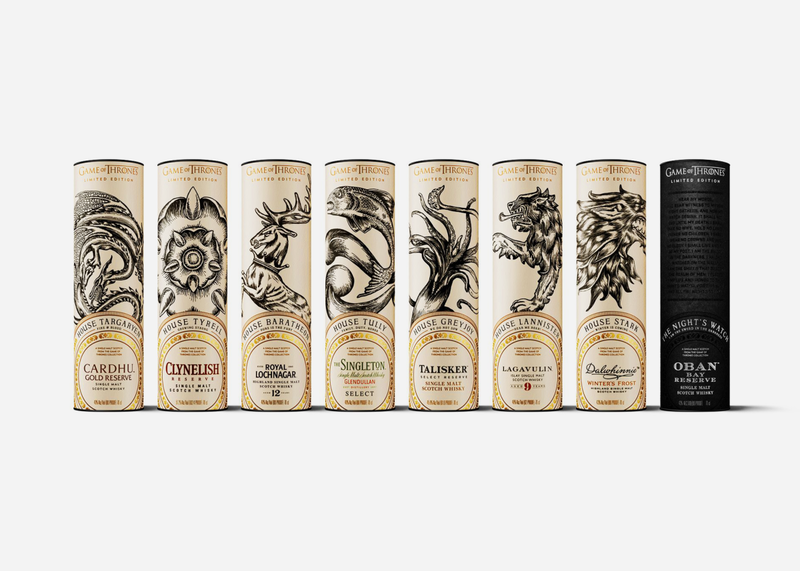 Earlier this year, they released a special edition set of Scotch whiskies matching powerful Westerosi houses and the Night's Watch with various elixirs in their portfolio. But here's where things get really interesting: they're nearly impossible to find and skyrocketing in price on the third party market. Popular bottles like House Lannister (Lagavulin 9-Year-Old) have already doubled in price while House Baratheon (Royal Lochnagar 12-Year-Old) has already tripled. 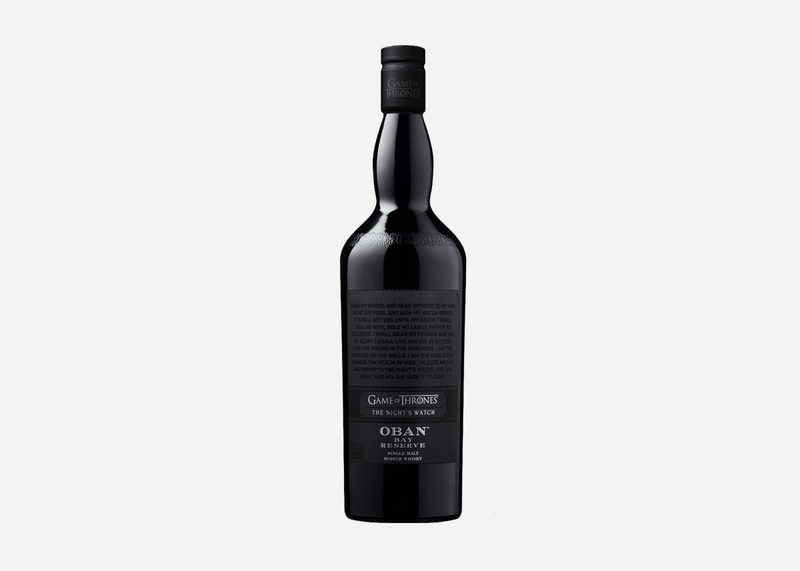 The Night's Watch (Oban Bay Reserve) is the hardest to find, thanks in part to stealthy blacked-out bottle, and will set you back nearly $500 to order online from an unofficial distributor. The complete set of seven will cost you a minimum of $2,500 and is only going up. So what's the play? If you're willing to go on the hunt, a quality liquor and wine store in your area might have a few bottles of the easiest to find collaborative bottles like House Tully (Singleton of Glendullan Select) or House Stark (Dalwhinnie Winter’s Frost). 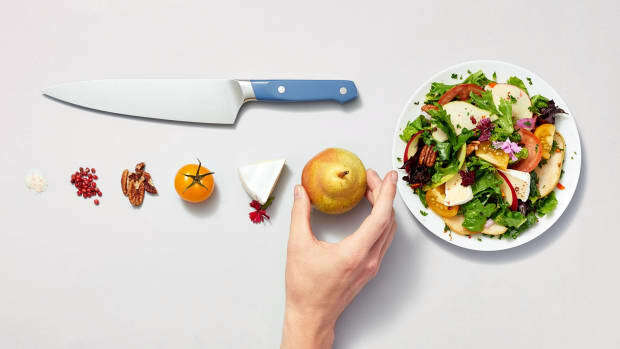 Otherwise, you'll have to pay a premium at an online retailer. Godspeed!